Over the last couple of weeks, we have been busy researching The Coast to Coast (West). This will be our brand new trek for 2018. Starting in St Bees and ending in Kirkby Stephen, our new holiday will follow Wainwrights Coast to Coast for 6 days, totaling 82 miles. This will be our first trek in England, and will hopefully be followed in 2019 by adding The Coast to Coast (East). We experienced some very mixed weather throughout the route, with day 1 being largely in the fog all day! 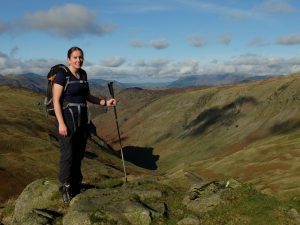 However, day 3 (Rosthwaite to Grasmere) and day 4 (Grasmere to Patterdale) more than made up for it, with glorious sunshine through out. Not only did researching The Coast to Coast in late November gave us a few weather challenges. The general lack of daylight hours made for some interesting night navigation towards the end of the longer days. However, as you can see from the photos, we certainly had excellent viability as well. 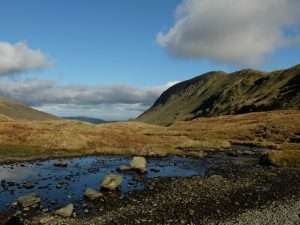 Overall though we loved the route, with my personal favourite day being day 2 (Ennerdale Bridge to Rosthwaite). 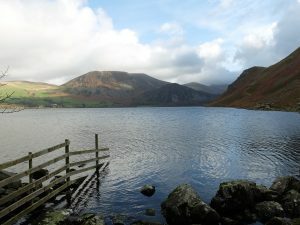 This day begun by walking the length of Ennerdale Water. It was followed by excellent views of Pillar and passing the incredibly remote Black Sail Youth Hostel. Therefore, this for me, was the best day of the trail. For Ollie, who joined me in the recce, day 3 proved to be his favourite. Heading over Greenup Edge and down into Grasmere was his highlight of the walk.